Esri has created a set of publicly accessible Web Services based that is updated on a daily basis. Each day the latest Landsat 8 scenes are added and made directly accessible along, with the previous scenes. These services are multispectral and temporal providing not only the latest pretty picture, but the full information content from Landsat. For more details check out Unlock Earth’s Secrets. 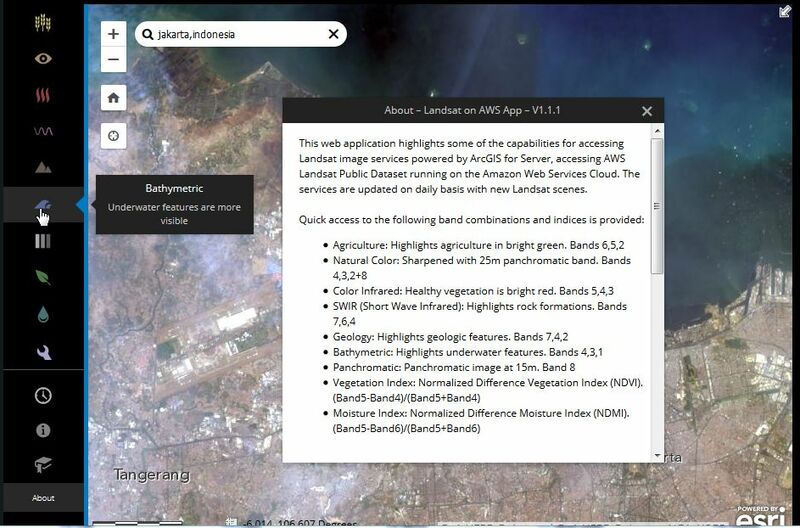 This also includes a live web application that provides access to the imagery with different band combinations as well as temporal and spectral profiles. The natural color imagery is pansharpened to 15m providing .